Till now, only a small number of verified users and select advertisers could access Twitter analytics. 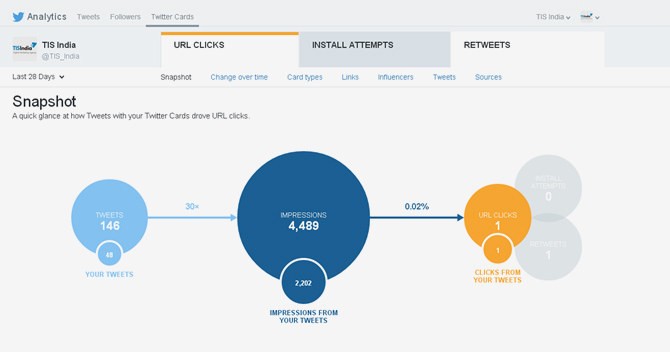 The rest had to rely on third-party tools to fetch data like number of impressions, clicks and followers. The situation was even tricky if users had to find out the mentioned data for a specific period of time. But Twitter has given them a reason to rejoice by introducing Analytics Dashboard for all users. To access this feature, your Twitter account needs to be 14 days old and should not be suspended, protected or restricted. The news is a huge relief to all those who had to rely on social media tools to fathom the success, shortcomings and obstacles of their Twitter strategies. Now, users can easily find out their best performing tweets and replicate the thought behind them to increase the level of engagement. Just like Facebook, they can also see the location where their followers are residing. 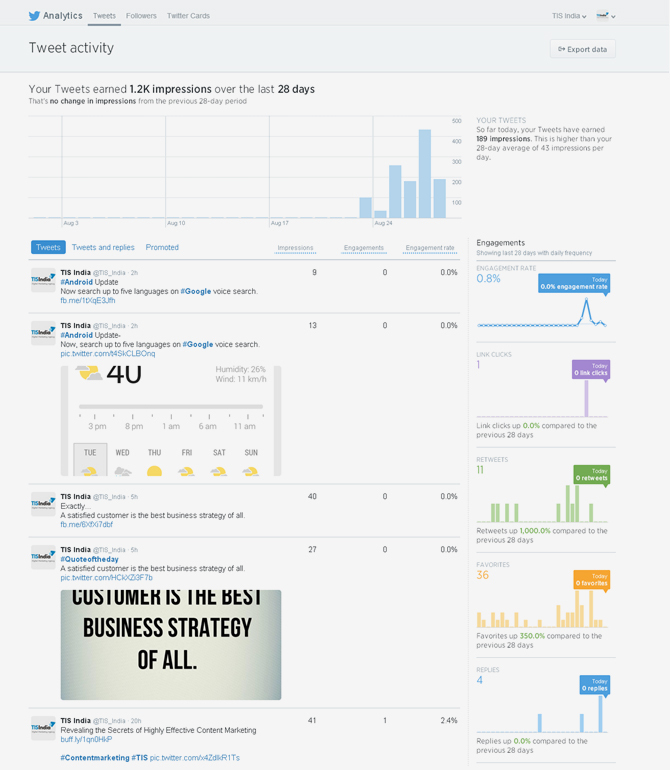 There are many other insights one can analyze through this newly launched Twitter Analytics. 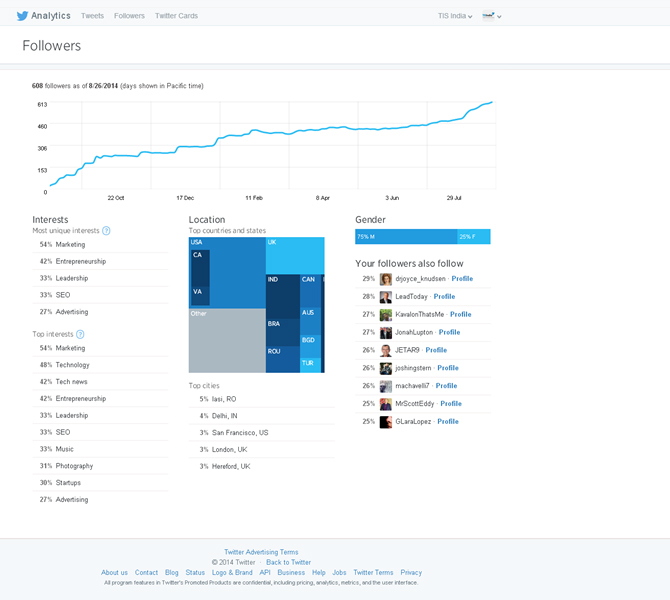 Why Twitter Analytics Is Important For You? Just think how efficient your Twitter campaigns could be with all the insights at your disposal. Leveraging significant statistics including the demographics of followers, number of clicks your twitter account is generating and percentage of increase in engagement, you can easily and quickly achieve your Twitter marketing goals. Further, the data could be even more useful when you are advertising on Twitter. You can hire social media marketing experts to plan a proper Twitter marketing strategy in order to give more positive exposure to your tweets or consultant a web analytics expert for proper tracking, reporting and analysis of your brand’s social profiles.